If there’s one thing I’ve learned over the past three years of planning weddings, it’s that they’re stressful. In an effort to make your wedding day a little more easy-breezy, I’ve pinpoint a few key elements to get you ready for your big day and put you in the right mental mindset. If you put these five tips to work, you’ll be on your way to a more stress free day. It’s tempting to put the little things off to the last minute, but don’t do it! 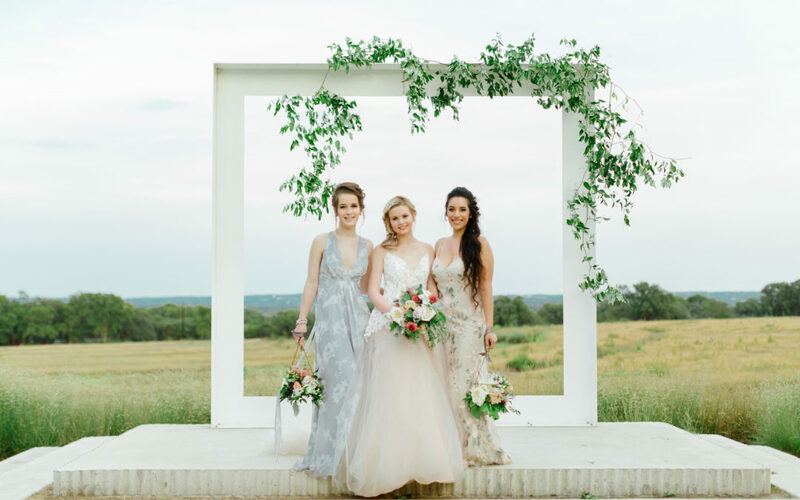 The goal on your wedding day should be to spend quality time with your squad, not running last minute errands or scheduling your day full with activities and appointments. So what does this mean? Get your mani + pedi done the week of the wedding (not the day-of). Make sure all your bags are packed, personal items are bought, vendors are confirmed, your timeline is squared away, your honeymoon plane tickets are printed and your wedding day champagne is ready to be popped. Because every moment of your wedding day is a precious one, try not to take a single minute for granted. Letting go of control is hard, trust me, I’m a HUGE control freak. But just know you can’t control everything. The flower girl may cry, someone may spill red wine on your dress, and a bridesmaid will likely end up having a little too much to drink. If you try to micromanage everything, you’ll end up driving yourself crazy (and everyone around you). Let your day unfold as it was meant to and embrace the hiccups. What matters is your marriage and your love for one another. As the bride, you set the tone for the wedding. It won’t matter if it’s sideways raining. As long as you’re all smiles and thrilled to be marrying the love of your life, your guests will have fun, too. Yeah, girl, it’s true what people say – your day will flash by in the blink of an eye. So how can you take it all in and live more intentionally in the moment? Focus on your senses. Concentrate on what you’re seeing, smelling, touching, hearing and tasting. Remind yourself to look around and “stop to smell the roses”.